The star power of Leonardo DiCaprio is so great that his films regularly spring to blockbuster status thanks to his presence alone. 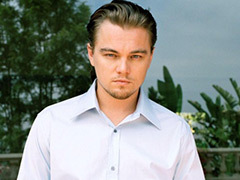 Relatively few of his fans, however, are aware that the environmental causes endorsed by DiCaprio achieve an equally impressive rate of success. To supplement his work with the Foundation, DiCaprio claims residence on the board of several major environmentalist groups, including the World Wildlife Fund and Global Green USA. From providing clean water to third world countries via a grant to the group Concern Worldwide, to working hand in hand with WWF to ensure the protection of endangered tigers in Nepal, DiCaprio’s efforts have had far-reaching effects on multiple areas of the green movement. DiCaprio recently played a direct part in instigating new legislation that will end the pervasive ivory trade in Thailand. After he urged Thai Prime Minister YingluckShinawatra to take action via a petition, the country announced that it would crack down on loopholes allowing for the sale of tusks from domesticated elephants. In addition to his activism, DiCaprio lives one of the greenest lifestyles in Hollywood, owning the all-electric Tesla Roadster, a Fisker Karma hybrid sports sedan, and an eco-friendly condo that features solar panels, low emission paint, and even its own water treatment facility.